Take a break and enjoy a discounted meal at Gallery & Co. Cafe, located within National Gallery Singapore! Happy and proud to see some works of a fellow Filipino. It was a great experience for me to visit museum like this, again thank you KLOOK for a hassle free booking up to the admission/entry. 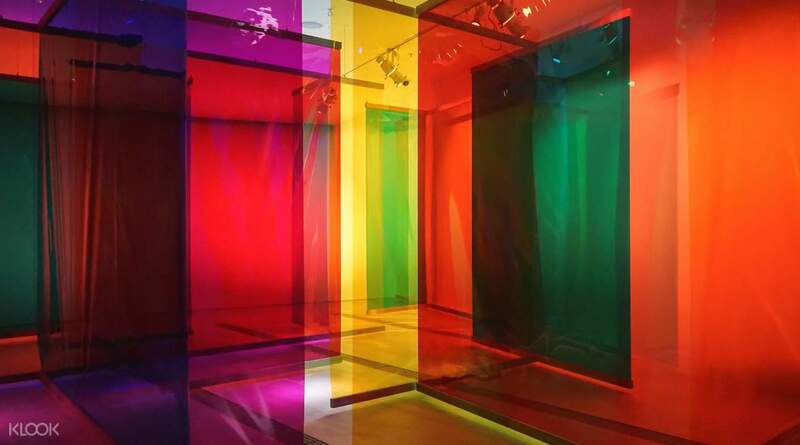 Explore Southeast Asian art at the new National Gallery Singapore. 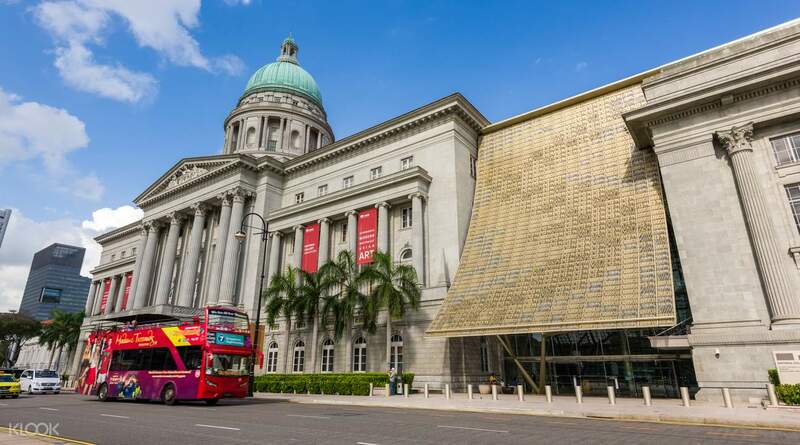 After opening its doors on 24 Nov 2015, the gallery is located in Singapore's Civic District and boasts a combined floor area of 64,000 square meters and is housed in two of the island's most iconic buildings: former Supreme Court and City Hall. 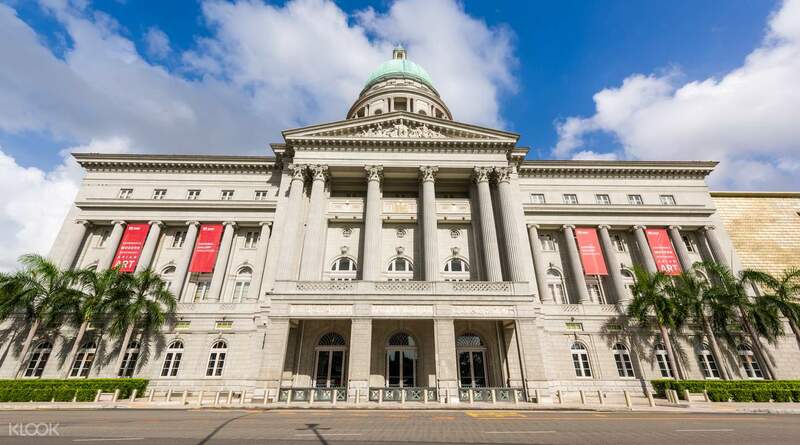 National Gallery Singapore is the largest visual arts venue and museum in Singapore – home to over 1,000 art works and it is certainly one of the main attractions in Singapore. 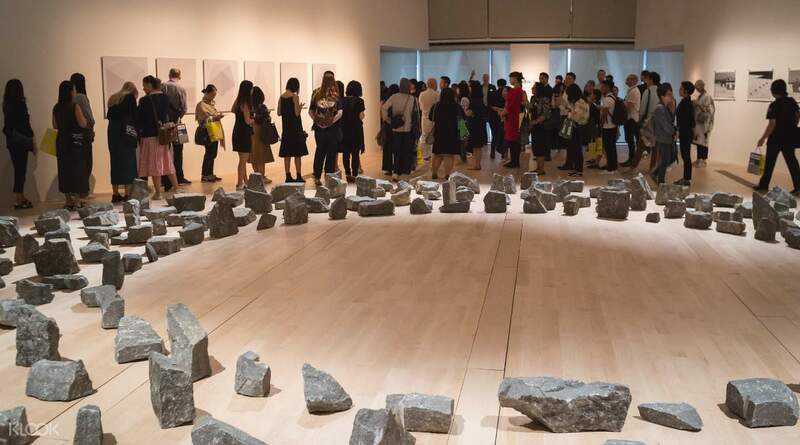 Visitors are introduced to Singaporean and Southeast Asian art in the long-term and special exhibitions taking place at the gallery. A visit to the National Gallery Singapore is a great opportunity to discover art, culture and architecture of Singapore. The National Gallery was pretty big since it used to be 2 separate government buildings. Unfortunately, the day I visited was an Open House - meaning, I did not need a ticket to enter the gallery. However, I do not regret the experience. Get the free guided tour if you can so you could get a brief background on SG Art history. The National Gallery was pretty big since it used to be 2 separate government buildings. Unfortunately, the day I visited was an Open House - meaning, I did not need a ticket to enter the gallery. However, I do not regret the experience. Get the free guided tour if you can so you could get a brief background on SG Art history. The National Gallery Singapore is great place to start if you want to really immerse yourself in the country’s rich history and culture. The Gallery holds several different displays that you can view. They also have interactive displays and rooftop decks/gardens. The Gallery is rather large though so I would recommend really giving it the time. The National Gallery Singapore is great place to start if you want to really immerse yourself in the country’s rich history and culture. The Gallery holds several different displays that you can view. They also have interactive displays and rooftop decks/gardens. The Gallery is rather large though so I would recommend really giving it the time. I went to the National Gallery with my voucher but it was a free day so it wasn't needed. Klook did not specify that it was a free day. I hope I get a refund. But overall, the National Gallery is great! I went to the National Gallery with my voucher but it was a free day so it wasn't needed. Klook did not specify that it was a free day. I hope I get a refund. But overall, the National Gallery is great! We went to the museum to acquaint ourselves with Singapore's history. I was particularly fascinated with the minimalist exhibition that was taking place that time. The gallery in itself is an architectural marvel. Extremely beautiful! Once you go inside, it's pretty huge and you will need to shell out 2 hours easily to get a sneak peak into every gallery inside. If you want to join their free guided tours, I suggest to check their schedules so you could plan ahead. I would highly recommend this place. We went to the museum to acquaint ourselves with Singapore's history. I was particularly fascinated with the minimalist exhibition that was taking place that time. The gallery in itself is an architectural marvel. Extremely beautiful! Once you go inside, it's pretty huge and you will need to shell out 2 hours easily to get a sneak peak into every gallery inside. If you want to join their free guided tours, I suggest to check their schedules so you could plan ahead. I would highly recommend this place. Visiting The Singapore National Gallery was an amazing experience ! The building was astonishing and the exhibitions were interesting. Spent quite a few hours exploring the artworks and the Minimalism Exhibition in there, definitely a 5/5 experience. The staff was very friendly, and we can leave our luggage at a locker to visit the gallery with ease. Visiting The Singapore National Gallery was an amazing experience ! The building was astonishing and the exhibitions were interesting. Spent quite a few hours exploring the artworks and the Minimalism Exhibition in there, definitely a 5/5 experience. The staff was very friendly, and we can leave our luggage at a locker to visit the gallery with ease. Very recommended, great place - great ambience - good spots to take pictures. However you still have to queue as to entrance the galleries and exhibitions it requires the sticker which need to be redeemed at the ticket counters. Worry not as there are two lines for "pre-purchased ticket holders" and "direct purchase ticket". Also better to buy the all access as you can enjoy the entire galleries all in one day. It is a huge huge gallery which may take one day to completely explore all. At the end, it was a very nice trip and worth the money. Very recommended, great place - great ambience - good spots to take pictures. However you still have to queue as to entrance the galleries and exhibitions it requires the sticker which need to be redeemed at the ticket counters. Worry not as there are two lines for "pre-purchased ticket holders" and "direct purchase ticket". Also better to buy the all access as you can enjoy the entire galleries all in one day. It is a huge huge gallery which may take one day to completely explore all. At the end, it was a very nice trip and worth the money. Definitely worth visiting. 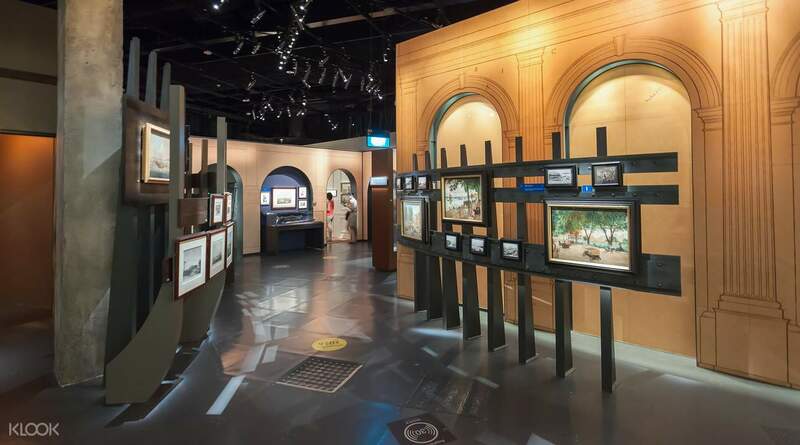 The art pieces brings you through Singapore's history and the gallery also showcase some very nice art pieces by artists from surrounding counties as well. The building is very nice, comprising of the old city hall and the old supreme court. Definitely worth visiting. The art pieces brings you through Singapore's history and the gallery also showcase some very nice art pieces by artists from surrounding counties as well. The building is very nice, comprising of the old city hall and the old supreme court. Worth the money. Fantastic art and awesome gallery. I spent 4 hours here. Never get bored of it. 6 floors to explore. I also bought the minimalism exhibition. Very minimal, of course. Simple but worth seeing. Worth the money. Fantastic art and awesome gallery. I spent 4 hours here. Never get bored of it. 6 floors to explore. I also bought the minimalism exhibition. Very minimal, of course. Simple but worth seeing. This museum was massive! And absolutely wonderful! Reserve at least two hours to explore all the exhibits in all the floors. Or better yet, spend half of your day here. Would have loved to join the free tours but we couldn’t find one that fit our sched. Also highly suggest the Minimalism exhibit. That was just amazing! Don’t miss out on the museum’s store also! This museum was massive! And absolutely wonderful! Reserve at least two hours to explore all the exhibits in all the floors. Or better yet, spend half of your day here. Would have loved to join the free tours but we couldn’t find one that fit our sched. Also highly suggest the Minimalism exhibit. That was just amazing! Don’t miss out on the museum’s store also!